Classic Film and TV Café: Beware the Boggy Creek Monster! USA Today recently ran a story about an alleged sighting of Bigfoot in Boone, NC. That got me thinking about other similar "creatures" and soon I found myself reminiscing about that 1972 drive-in classic The Legend of Boggy Creek. Actually, my pal Herb and I saw it as teens at a movie theater in Winston-Salem, NC--not at a drive-in. In those days, a distributor would sometimes rent out a theater for a week and keep all the box office grosses. This was a practice called "four walling" and producer-director Charles B. Pierce used it effectively with The Legend of Boggy Creek. His low-budget pseudo-documentary, made for around $160,000, grossed $25 million according to the Associated Press. The Legend of Boggy Creek opens with a folksy narration that describes the small rural town of Fouke (pronounced "fowk"), Arkansas, and its friendly residents. Things turn ominous at the nine-minute mark when the narrator notes: "Fouke is a right pleasant place to live...until the sun goes down." He then proceeds to recall: "That day in the store, Willie Smith didn't believe me when I told him about a wild, hairy creature in the woods. He believes me now." Producer-director Charles B. Pierce uses a mixture of actual interviews and staged reenactments to tell the tale of several "creature" attacks. A long section of the film is devoted to the most famous appearance of the Fouke Monster (as it came to be known). That was a 1971 attack on the Turner family, who had just moved into their isolated house. There's nothing scary or even suspenseful about this sequence and, alas, the same can be said for The Legend of Boggy Creek. It's not a very good film--but there's still something intriguing about a mysterious seven-foot, furry creature running around the forests of Arkansas. Interestingly, in real life, the Turners sold their property and Pierce offered the new owners $2000 to film his reenactments there. They held out for more money, so Pierce used another near-by house to stand in for the old Turner home. 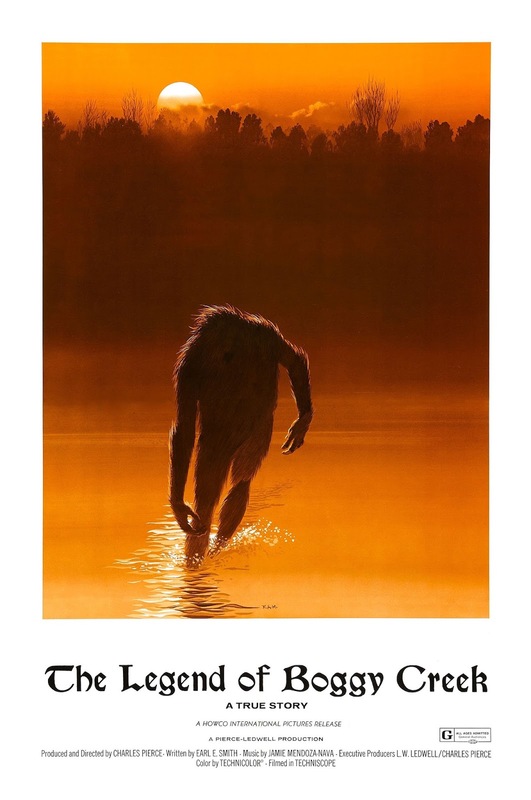 There have been entire books written about the Fouke Monster, but here's a primer for those unfamiliar with this urban legend. Margaret Ross, in a 1971 article in the Arkansas Gazette, mentions sightings of a "Wild Man" that occurred as early as the 1850s. In the 1940s, there was a sighting in Jonesville, Arkansas, which is less than ten miles from Fouke. The creature was dubbed the Jonesville Monster, a name it retained for several decades. 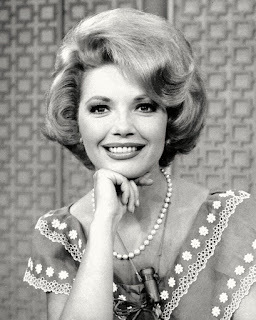 There were sightings in the 1960s, but the creature didn't achieve celebrity status until 1971. In May of that year, in an article in the Arkansas Gazette, Bobby and Elizabeth Turner claimed their home was attacked by a large, hairy creature. In fact, Bobby Turner said that the creature grabbed his shoulder and threw him to the ground. Turner was later treated for scratches across his back and for mild shock at St. Michael Hospital in Texarkana. Later that month, Jim Ross, a reporter for the Texarkana Daily News, wrote an article about a couple that said the Fouke Monster crossed in front of their car on a highway near Fouke. Mrs. Wilma Woods stated in the article: "It was hunched over and running upright. It had long dark hair and looked real large...It was swinging its arms, kind of like a monkey does. I thought my eyes were playing tricks on me, but there it was. My husband turned to me after it crossed the road and asked me if I saw it, too." When the Associated Press and United Press International picked up the articles, the Fouke Monster gained national attention. Charles B. 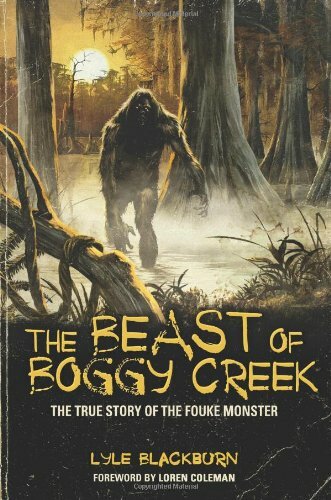 Pierce made The Legend of Boggy Creek the following year and Fouke Monster sightings have popped up now and again ever since. There have been other movies, too, such as the children's movie Return to Boggy Creek (1977) with Dawn Wells from Gilligan's Island and The Barbaric Beast of Boggy Creek (1985). The latter was another Charles B. 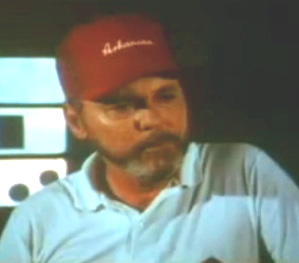 Pierce effort, in which the filmmaker starred as an anthropology professor. 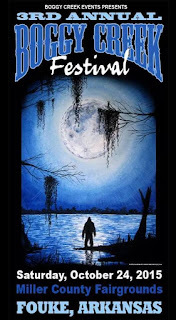 This year, Fouke will will host its 3rd annual Boggy Creek Festival on October 23-25, 2015. 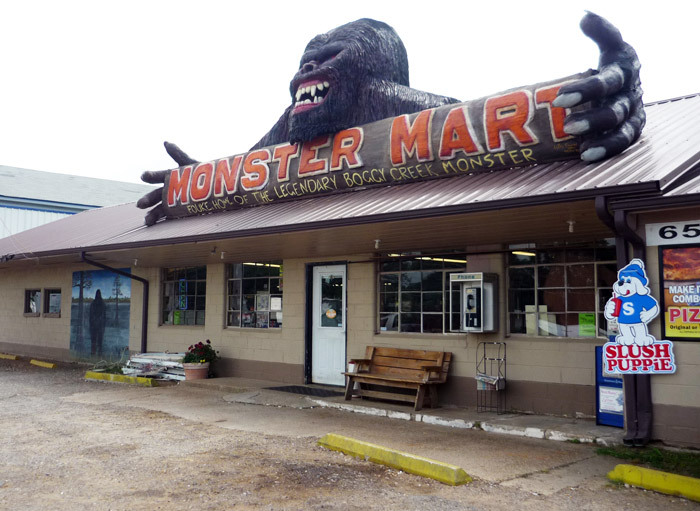 The Monster Mart in Fouke. As for the existence of the Fouke Monster, well, there's little evidence beyond the sightings. Dr. Frank Schambach, an archaeology professor at what is now Southern Arkansas University, examined some large monster tracks uncovered in 1971 and determined there was a 99% probability that they were fake. Of course, there's always that one percent. 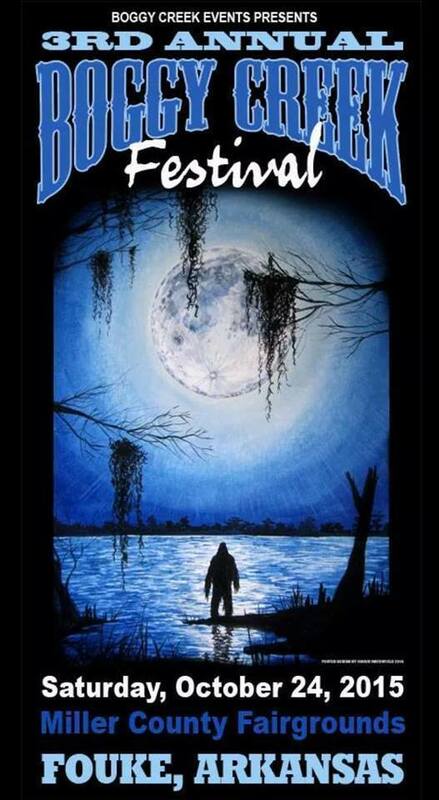 You can learn more about the Fouke Monster at the website The Beast of Boggy Creek. Here's another film you've introduced me to, and it sounds terrific. The Boggy Creek Festival sounds like a log of fun too! 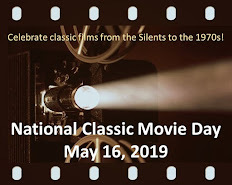 Totally awesome to a ten-year old and his best friend, as they watched it in the Strand Theatre in Orange, Texas in 1972. So awesome that we decided not to leave when it was over. We went to the restroom and came back out and watched it again without buying another ticket. It seized our imaginations that completely. We talked about it at school for days after. I do indeed see the attraction for the young at heart...and it appealed to me as a teen at the time. I love those cheap 70s monster films. I recall fondly a real masterpiece - Snowbeast. This one actually looks quite scary with that standout poster art. I purchased "The Legend of Boggy Creek" DVD a few years ago, because it had always been on my 'so bad it's good' movie list. My husband, a grown man in his 50's, had nightmares about it after we watched it. I think it speaks to the quasi-documentary effect of the film, and why it's still watched today. Those grainy images, along with the narration, have a power that sticks with you. Can't argue with that, even though for me, BOGGY wasn't as memorable as I remembered from my more youthful days.